When children are engaged in activities which align with their particular interests, their psychosocial development is enhanced. They not only learn a variety of useful skills, they learn to express themselves, go on a journey of self-discovery, and grow into adulthood with an authentic set of characteristics and values. Here, however, we will focus on those important activities which impact children’s health and body development – participation in sports. According to the latest Youth Risk Behavior Surveillance in the United States (2016), 14% of children reported not having any kind of physical activity at least once a week prior to taking part in the survey, while 27% of the children reported having been physically active every day of the week for at least 60 minutes per day. Also, 14% of the children were found to be obese, while 16% were overweight . The results of this study clearly suggest that taking up sports as an extracurricular activity is an especially good idea. In this article, we’ll take a look not only at the obvious benefits of sports on physical health, but also at a much-neglected topic – how sports help in developing children’s personalities and positive forms of behavior. Being on a sports team provides children with a new social circle outside of school, an opportunity for making new friendships, some of which may last a lifetime. By training with other kids, children participate in different interactions from those they have in school. Also, their communication and interactions are far richer than the ones they get by simply texting via social media. They win together, they compete among themselves, they lose and deal with defeat together. Being involved in a sport teaches valuable lessons in teamwork, such as putting yourself in second place for the benefit of the whole team. All of this gives children a new sense of togetherness and belonging. Learning to accept and cope with defeat is an important lesson in life. The nature of sports is such that there is always a winner and a loser, and the experience of being one or the other is a valuable one. It’s inevitable that there will be multiple occasions when children come out of the game defeated in practice or in a match, but it’s important to help them realize that losing is nothing to be ashamed of. We all have a friend who’s a sore loser, and who can sometimes ruin all the fun of the game. By learning to control and understand their emotions after losing, children can build resilience that can aid them in life. After all, life brings many obstacles and learning to be dignified in defeat and to stand up when you’re down are lessons sports can teach us early on. Specific rules may apply on the sports field, set by new authority figures like coaches or other older individuals (e.g. referees). Following the rules requires discipline and respect for the decisions made by more experienced and skilled others. Obeying rules and orders is the basis for good interaction and cooperation in any sport, and being disciplined in training sessions is a necessary part of succeeding. Constructive criticism is a big part of sports and the main ingredient for developing the necessary skills. Children learn to respect those in authority, even when they don’t agree with them, as they see their skills developing and improving. This way sports introduce a new authority figure for children, besides parents and teachers, who can help them in their healthy development. Through competition, children can develop the motivation to improve and avoid defeat. By working hard at every practice and staying focused on their goal, children build persistence and learn the importance of patience, and in the end, realize that hard work pays off. This translates to life in general – setting out to accomplish something requires dedication and persistence over a long period of time. There is some evidence that long-term commitment to sports has a positive impact on children’s behavior in the classroom . They tend to apply the same principles of dedication, persistence, and patience they learn through sports to the school environment. Everything mentioned above, such as interactions with peers, dedication to training, and practicing teamwork translates into the classroom. In this sense, sports are able to advance the educational aspirations of children and create pathways to educational success . Participation in sports can be beneficial for children’s self-esteem and confidence even though they might not necessarily be good at it. Words of praise from coaches for successfully finishing a workout or winning a game, high-fives from teammates after a great team action, or just having something of their own that helps them build their own identity (“I’m a tennis player”) – are all ways of building trust in their own abilities and developing a feeling of confidence. On the other hand, it is important for children to focus on how much they enjoy playing a particular sport, and not whether they’ll win or lose a game. If they become overly competitive and their self-esteem only depends on winning, they risk losing self-confidence. Because of this, parents have an important role in encouraging children to play sports for fun and enjoyment, and not necessarily for winning every single game. After all, when are you going to have fun if not during your childhood? Of course, physical activity also benefits the body and overall health, so it’s not surprising that one study found that girls who played sports reported greater acceptance of their body image . Research has shown that children who engage in more vigorous physical activity have more muscle and less body fat. If we bear in mind that by having more lean mass, the organism burns more calories, it’s not surprising that participating in a physical activity and sports tends to reduce the risk of being overweight . Lowering body fat by playing sports or engaging in a regular physical activity also means taking care of the heart, and lowering the risk of cardiovascular disease. One study showed that high school students who took up a sport outside of school had significantly better cardiovascular fitness than children who participated solely in PE [4, 6]. On the other hand, it’s important to bear in mind that following good eating habits is also crucial for maintaining a healthy heart and a fit body. Playing sports can have a positive impact on bone health as well. Engaging in a vigorous physical activity over a sustained period of time can improve bone mineral density, especially among girls [4, 6]. 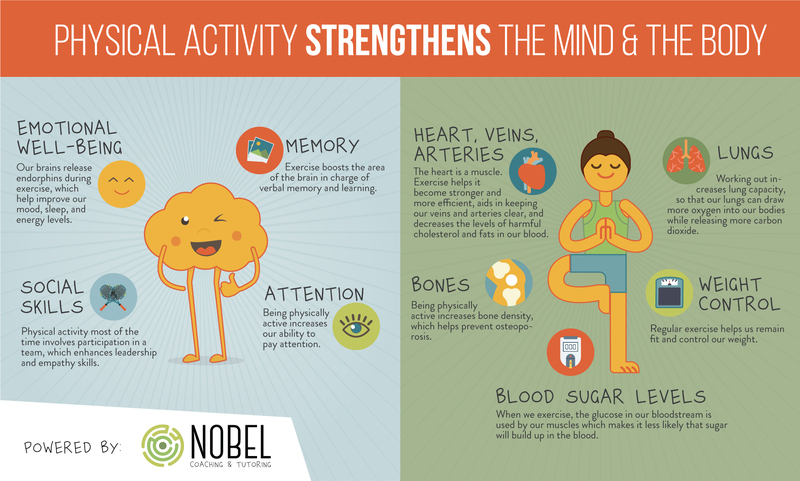 Finally, physically active children usually grow up to be physically active adults. We have seen that sports represent an excellent way of preventing several chronic diseases such as cardiovascular diseases, obesity, osteoporosis, etc., so getting involved in sports in childhood is a key element in developing and maintaining good health and promoting longevity..
– If you’re having trouble encouraging your children to take up sports, you should set an example by doing some workouts at home, or becoming more physically active in some other way. Also, try raising their interest by exploring and playing some sport together, such as tennis or baseball, or simply throwing a frisbee around. – Try not to push your children towards a sport you like, but they don’t show a particular interest in. – If your children don’t want you to attend their match, try to talk to them and see why. They might be afraid of not performing well, or they lack self-confidence, so try to be supportive. – Make sure your children don’t neglect other commitments (e.g. schoolwork). 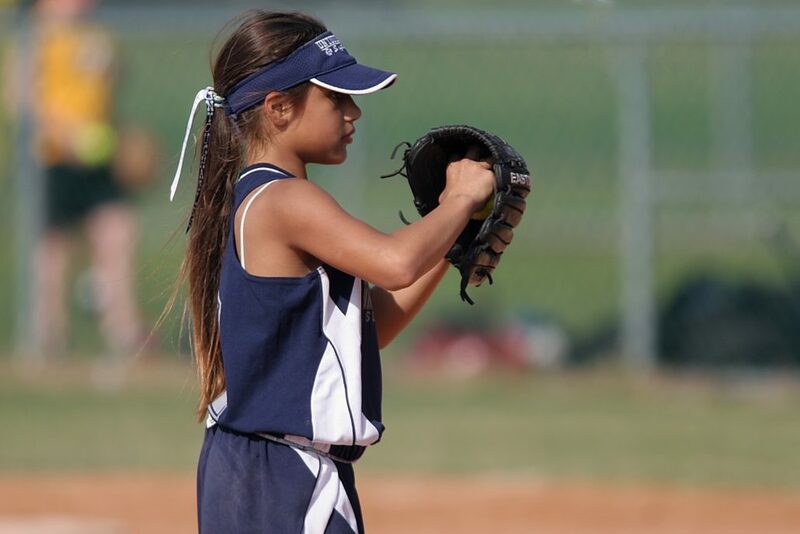 It is possible for your children to become too invested in a sport or some other hobby. If you are not sure how many extracurricular activities they should take up, we have an article that can be helpful. Kann, L. (2016). Youth risk behavior surveillance — United States, 2015. MMWR. Surveillance Summaries, 65, 6. Centers for Disease Control and Prevention. Rosewater, A. (2009). Learning to play and playing to learn: Organized sports and educational outcome. The Education Digest, 75(1), 50. Rosewater, A. (2010). Organized sports and the health of children and youth. Prepared for Team Up for Youth. Blumenthal, J. A., Babyak, M. A., Doraiswamy, P. M., Watkins, L., Hoffman, B. M., Barbour, K. A., … & Hinderliter, A. (2007). Exercise and pharmacotherapy in the treatment of major depressive disorder. Psychosomatic Medicine, 69(7), 587. If you need any advice on sports and activities for your child, you’ve come to the right place!